The shadowy spirits elephants, mysterious disappearances, native legends and the most beautiful landscapes you could wish to see on any road trip. We’re traveling to the heart of the dairy belt to visit the Devil’s Lake State Park to dive into some very disturbing legends. Don’t let the postcard views of this gem in Wisconsin fool you. This town seems to be a hotbed of the paranormal. 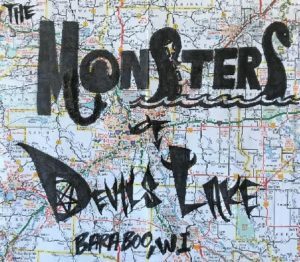 From lake monsters to Bigfoot to ghosts and native american curses, Baraboo has it all. If you aren’t feeling like taking on the local oddities, there is fishing, boating, kayaking and camping adventures for all. I would say to watch out for bears…but they say there are none. Maybe the giant ghost mammoths ate them? If the outdoors and the paranormal are not your cup of tea, this town is home to Circus World. This is a working circus and museum devoted to the history of the circus, with artifacts and exhibits and tigers! No trip to the cheese capitol of the world would be complete without stopping in to the Gem City Saloon and Eatery for a cheesy slice of the “best pizza in Wisconsin.